As former Texas Congressperson Beto O’Rourke prepares a presidential run, more is being learned about his record. O’Rourke has been accused with voting with Republicans on some issues, and the January 20 Sunday New York Times had a front page story on his refusal to endorse a Democratic congressional candidate in a district Hillary Clinton won in 2016; the Democrat lost by less than 1000 votes. I was impressed by Beto O’Rourke’s Senate campaign before I visited Austin a week before the election. I came away marveling how he had mobilized students and other infrequent midterm voters. 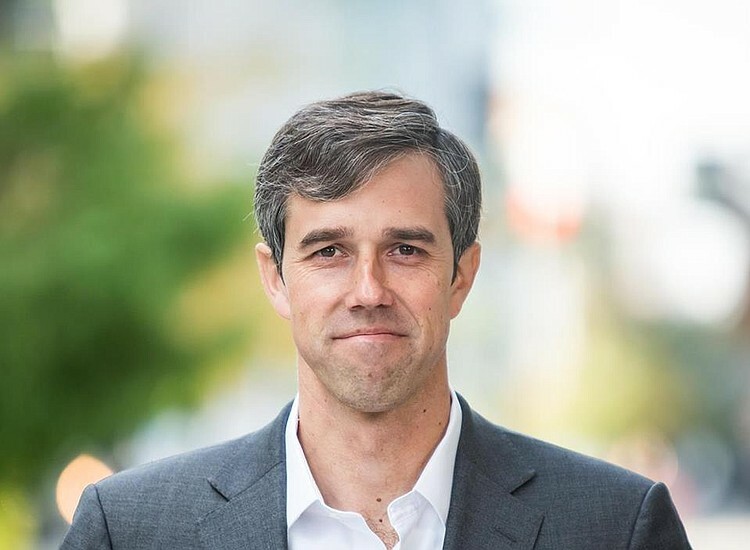 His narrow loss in a state that had not elected any Democrat to statewide office in two decades said to me that O’Rourke would be a strong candidate in the race for the Democratic nomination. That O’Rourke sometimes voted with Republicans did not bother me as none of his votes swayed an important outcome. His refusal to endorse the Democratic congressional candidate is more troubling considering that every Democrat seat could have meant the difference between Democrats taking the House. I can understand people giving up on O’Rourke over the lack of endorsement. For me, O’Rourke’s putting his own Senate race first was understandable; his candidacy unquestionably led to Democratic victories across Texas that otherwise would not have occurred. But one fact in the NY Times article greatly concerns me: O’Rourke backed moderate Tim Ryan over Nancy Pelosi to lead House Democrats in 2016. Pelosi prevailed 134–63, which puts O’Rourke among the third most conservative of Democrats. If Beto O’Rourke had gotten his way, we would not have Nancy Pelosi commanding the Democrat’s strategy against Donald Trump, we would have a far less skilled and less progressive Tim Ryan. “Not being part of the party apparatus” and identifying as a “different type of Democrat” are code words. They describe a Democrat that freely betrays progressive constituencies. We’ve seen this script before. In 1976, a Georgia peanut farmer ran as a Democratic outsider and won the presidency. While Jimmy Carter is hands down the greatest ex-president in history, as president he was a disaster for progressives and for the nation. The media loved Carter during the 1976 primaries because he was not a “captive” of Democratic “special interests.” The media still promotes the troubling idea that Democrats should nominate someone who is not loyal to party’s core constituencies while Republicans select those backed by their most loyal base. Carter’s failures brought the landslide victory of Ronald Reagan in 1980, as traditional Democrats bypassed the Party’s incumbent president in record numbers. In 1992 Bill Clinton also billed himself as not a “traditional” Democrat. He was unsupportive of unions and went out of his way to show he would not be a “captive” of the racial minorities whose votes elect Democrats. We know how the Clinton years turned out: rising inequality, repeal of the federal welfare entitlement, the elimination of new federal housing vouchers and public housing demolitions the decimating of federal Legal Services—-the Republican policy wished list enacted under Clinton is simply too long to repeat here. Beto O’Rourke saw Tim Ryan as better representing the Democratic Party than a woman with deep roots among the Party’s progressive constituencies. That should trouble all progressives about a potential O’Rourke presidency. His backing Ryan reflects values that place O’Rourke well to the right of Hillary Clinton. The Democratic Party needs young leaders like Alexandria Ocasio-Cortez, not weathervane progressives like Beto O’Rourke. Beto’s ability to generate voter enthusiasm still puts in the front tier of potential candidates in 2020, but his candidacy comes with red flags.